ALEXANDRA: Hershel C. Crist, 94 of Alexandria died Saturday, Oct. 13, 2018 at his residence after an extended illness. He was born in Alexandria on July 16, 1924 and was the son of Emil and Sarah Jane (Spencer) Crist. On July 19, 1963 he married Nancy J. (Partington) Crist. Hershel was a veteran of WWII serving with the United States Navy. Hershel was retired from the Westinghouse Corporation in 1990 and was a member of the Church of St. Mary’s in Alexandria. He is survived by his wife of 55 years Nancy J. Crist; his son, Michael Crist. Also surviving is his granddaughter, Kaylin Rose Crist; his brother-in-law, Bill Partington and several nieces and nephews. He was preceded in death by his parents, a daughter, Delaina L Crist. A Mass of Christian Burial will be celebrated on Oct. 18, 2018 at 11:00 a.m. in the Church of St. Mary’s , Alexandria with Fr. Dan Duff as Celebrant. Burial will follow in the IOOF Cemetery with military honors by the Elwood VFW Post 5782 and the United States Navy. Friends may call at the church one hour prior to the mass. 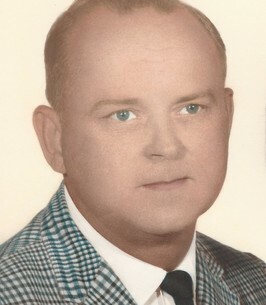 To send flowers to the family of Hershel C Crist, please visit our Heartfelt Sympathies Store. We encourage you to share any memorable photos or stories about Hershel. All tributes placed on and purchased through this memorial website will remain on in perpetuity for future generations.